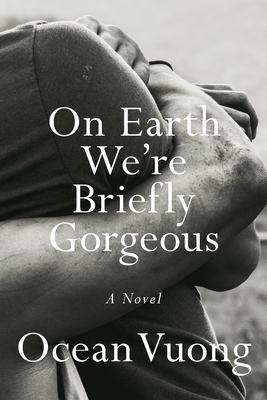 Written somewhat as a letter from son to mother, Ocean Vuong's On Earth We're Briefly Gorgeous is desolately beautiful. Each carefully crafted sentence builds upon the last, a momentum that carries you through a hundred pages before you remember to take a breath. Bleak, brilliant, it is the book other books will be compared to for years. Honestly, I would have been fine if it had been the last book I ever read. Trust me, you want to savor every single word of this book. All parts beauty and a work on identity. Much like Alexander Chee's EDINBURGH, ON EARTH WE’RE BRIEFLY GORGEOUS portrays incredible amounts of terrible, haunting images and paints them with beauty, love, and sexuality. It’s art at its finest, and writing like none other.